PWAs are essentially web applications that use the latest modern web technologies (including service workers) to deliver awesome user-experience. They have all the functionalities of native mobile applications without requiring from your users to install a mobile app on their devices. A Progressive Web Application takes advantage of the latest technologies to combine the best features of web and mobile apps. You still create a web application (HTML/CSS/JS) but thanks to a much larger web ecosystem, you can add native mobile features such as service workers for offline support, camera access, and more. It allows for delivering fast, engaging and reliable mobile experience while still having the reach and accessibility of a web page. Progressive Web Apps use modern web APIs along with progressive enhancement to deliver cross-platform web applications. PWAs are much faster compared to native apps. Users spend more time in native apps, but mobile web reach is almost three times that of native apps. Our experienced frontend team can deliver state-of-the-art progressive web applications that embrace the newest available browser APIs, providing native experience available on your users’ every device. PWAs are installable without the need for an app store. They offer a full-screen experience with the help of an application manifest file and can re-engage users with push notifications. A Web App Manifest allows controlling what a PWA will look like on a mobile device and how it will be launched. You can specify a home screen icon, the page that should be loaded when the application is launched, the screen orientation, and other specifications. When launched from a device's home screen, service workers enable a PWA to load instantly, regardless of the network state. Thanks to progressive web apps concept you can significantly improve your conversion rates, bounce rates and engagement. Read more about how it’s possible. Progressive Web Application development is cheaper than building two, separate native platforms for iOS and Android. If your business core value is not native application, just make sure that you deliver mobile-first experience and focus on value, not technology and overengineering. Installing the native application is an unnecessary barrier in most of the business for your users. Instead of demanding more effort from their side, make your experience accessible instantly, from any place on the globe, on any device with a browser. And you will be able to use killer native features, known from native. Increase conversion by focusing on native features of modern web that you might not even be aware of. Take advantage of push notifications, homescreen shortcuts and offline storage. Our developers are happy to share their knowledge and expertise about Progressive Web Apps development. They can advise you on the important aspects you will need to consider when choosing the framework for your application. Check out our knowledge base about PWA development. The overall feeling is that Netguru are not a different company but a part of one Campsited team. I like their communication methods. Netguru guys working on ShiftWear, have been great at getting to the point. They made it exactly as we wanted and on schedule. Netguru provide an awesome service and a great Ruby dev team that work together with us on our products. 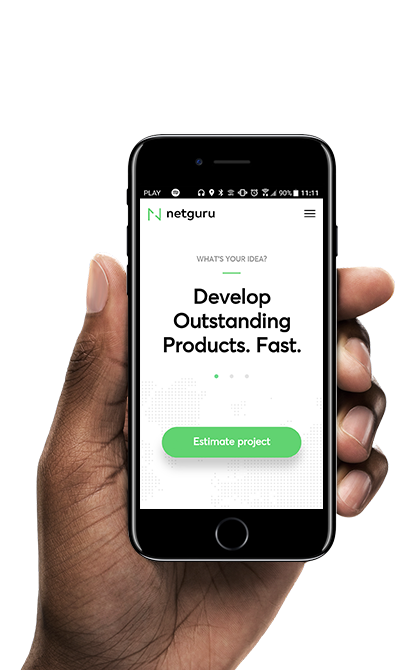 Web developers at Netguru build performant applications your customers can enjoy. They translate your ideas into functional products in a fast and flexible manner. Want to develop your application for mobile and web separately? Check out the other services that we have in our offer. We deliver high-quality products on time. Hassle-free. Web Development at Netguru is based on the cutting-edge technology and reliable solutions tested in battle. Mobile development process at Netguru is based on battle-tested technologies.